Revolutionary Tracker is a start up company based in New York City that came to us with an idea: improving child and adult safety through the use of a wearable GPS device. We were able to help bring this idea to reality from concept sketches to functional prototypes. What is it? The Revolutionary Tracker RT01 is a lightweight, easy to use, and fun to wear tracking and communicator device designed for children and adults alike. With the press of a button, users can call a pre programmed contact, or, in a case of an emergency, call a pre programmed emergency line. 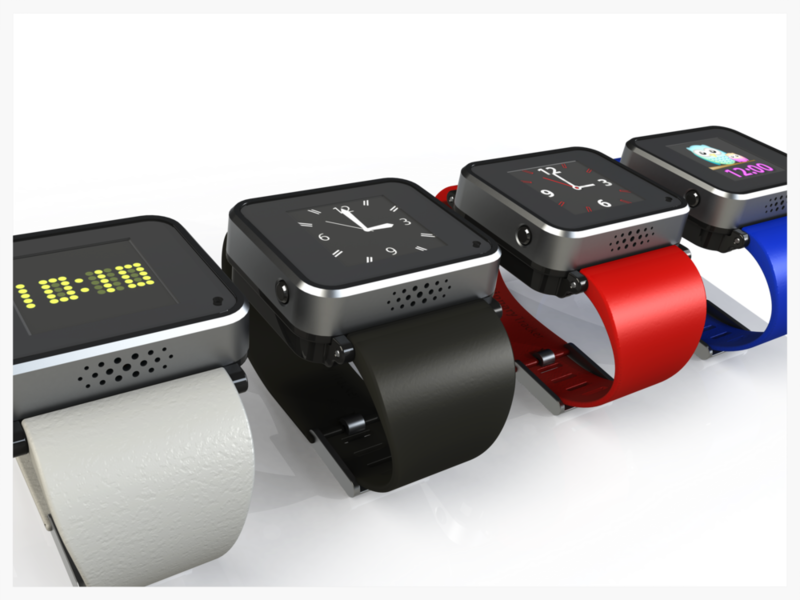 Its modular design gives you the ability to wear it as a watch, carabiner, or even around your neck. Multiple watch faces give users the option to customize their RT01 to their own personal style.